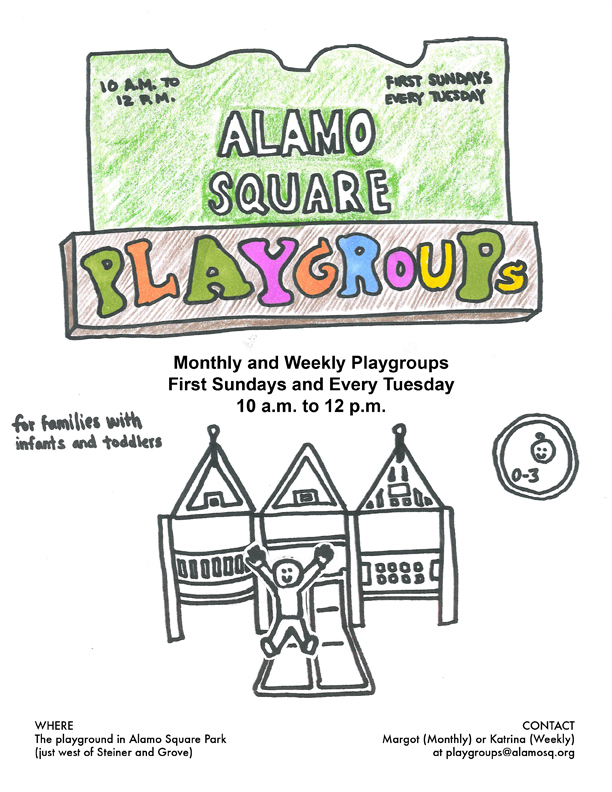 Alamo Square Playgroups starting in November! A new group for parents and babies 0-3 starting in November. Monthly Playgroup every First Sunday of the month (starts Nov 4). Weekly Playgroups every Tuesday (starts Nov 6). Email playgroups@alamosq.org for more info! http://alamosquare.org/wp-content/uploads/2016/10/ASNA-logo-282x300.png 0 0 admin http://alamosquare.org/wp-content/uploads/2016/10/ASNA-logo-282x300.png admin2012-10-28 11:47:452012-10-28 11:47:45Alamo Square Playgroups starting in November! Oak and Fell bike lane hearing – Tues Oct 16 New Alamo Square Picnic Area! Your vote is needed!